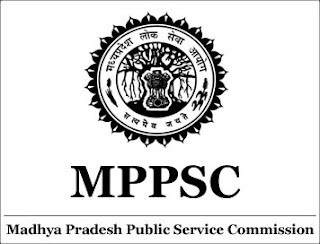 Madhya Pradesh Public Service Commission (MPPSC) has released a recruitment notification for 202 posts of Deputy Collector (Naib Tehsildar), Deputy Superintendent of Police (DSP) and More. Interested candidates may check the vacancy details and apply online from 18-12-2017 to 08-01-2018. More details about MPPSC Recruitment, 2018, including number of vacancies, eligibility criteria, selection procedure, how to apply and important dates, are given below..
Age Limit : Minimum 18 years and Maximum 28 years (as on 01-01-2018). Selection Process : Selection of candidates will be made on the basis of Preliminary Examination, Main Examination and Personal Interview. Application Fee: General/Other Domicile candidates have to pay Rs. 500 and SC/ST/OBC candidates (M.P. Domicile) have to pay Rs. 250 through online mode using Kiosk/Net-banking/Credit or Debit Card. How to Apply: Interested and eligible candidates may apply online through MPPSC website - http://www.mponline.gov.in/ - from 18-12-2017 to 08-01-2018.